I love an at-home spa time, but when it comes facial clay mask, I am picky. 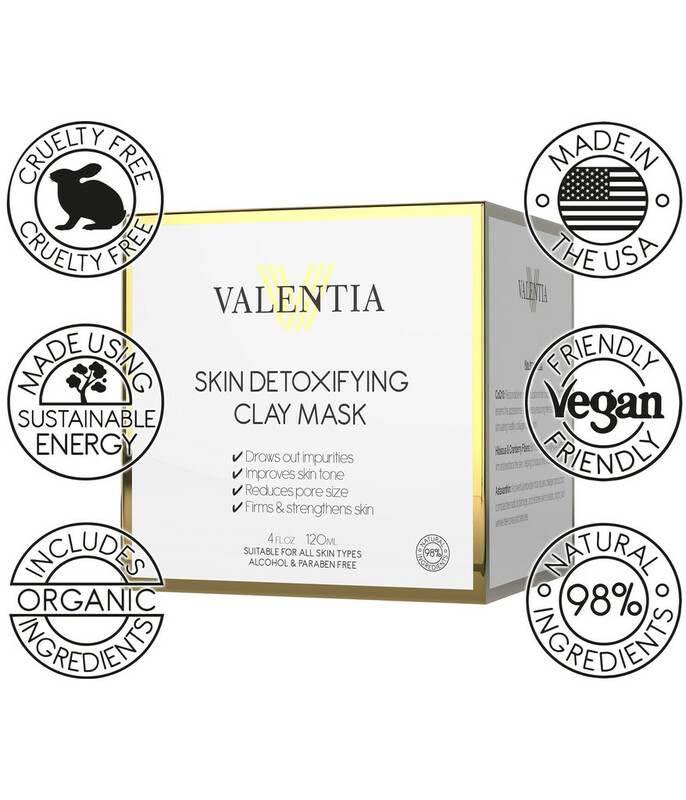 I am very careful what I put on my skin, so when Valentia gave me the opportunity to try their Detoxifying Clay Mask, I went straight to the ingredients to see what it was all about, and I was impressed. The mask's base ingredient is Kaolin Clay, which is amazing if you have oily/acne prone skin. Kaolin clay which is a gentle yet powerful ingredient which has detoxifying powers that draw impurities out of the skin to improve skin tone and tightens pores for a smoother and firmer skin. Plant Stem Cells 3% which is a developed French constituent which naturally decreases the level of pro-aging toxins. The ingredient helps to soothe the skin, reduce redness and improve evenness. Spirulina is an herbal stimulant full of vitamins and minerals that hydrate the skin surface and contributes to tissue regeneration of the skin. CoQ10 lessens the appearance of wrinkles by reducing free radicals damage and stimulating healthy collagen production. Hibiscus and Cranberry fibers both lend anti-aging properties to firm and reinforce the skin, helping to lessen the creation of new wrinkles. Astaxanthin is a powerful antioxidant that repairs collagen production, combat free radical damage, and restores skin to elastic, bright and wrinkle free tone and texture. I love these ingredients. The mask is alcohol and paraben free; it is also suitable for all skin types. Apply the mask generously to the face avoiding the eye area. Leave it on your face for 15-20 minutes or until the mask dries. To remove, use a damp cloth and warm water to remove. I love the white and gold packaging, it stands out and will look great on any vanity set. The moment I opened the box, my senses were met with a light floral fragrance, it isn't a harsh or overpowering scent, all though it might be harsh for people with a sensitive nose. When I applied the mask, I felt a cooling sensation at first, but after five minutes it dissipates. I like the cooling sensation, but for people with sensitive skin, it might be a bit bothersome for them. The mask has natural fibers, so I use circular motions to apply the mask to get the exfoliating effect. After twenty minutes, I take off the mask, and my skin feels out of this world. When I touch my face, my skin feels soft and smoother, it feels clean and looks radiant. I love that my skin doesn't feel dry. This mask is safe enough to use every other day, but I use it twice a week. I always look forward to my at-home-spa-treatments. I am pleased with the results I get from Valentia Skin Detoxifying Clay Mask. 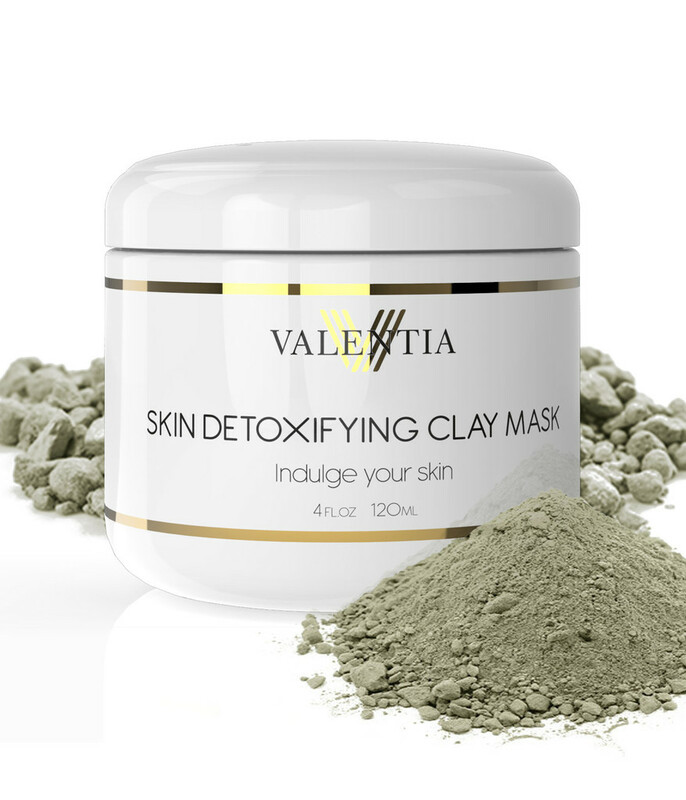 Have you tried the Valentia Clay Mask? This clay mask sounds wonderful, exactly like something my skin would love! Your skin will love it! It's one of my favorite face mask.